Any Video Converter Ultimate – All-in-one Video Recorder, DVD Ripper and Video Converter for Android Phone, iPhone 4S, etc. 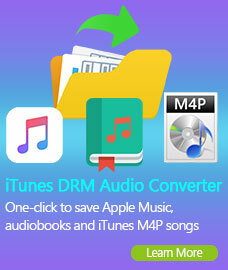 Try the free Syncios iPod Manager to transfer and backup multimedia files between iPod, iPhone, iPad and PC. More powerful than iTunes. Any Video Converter Ultimate is the most powerful media solution for you to enrich your daily multimedia enjoyment. If you are the user of Android phone, Apple devices, Samsung devices and electronic products of any brands, Any Video Converter Ultimate is definitely a good assistant for you. Any Video Converter Ultimate helps you to rip DVD movies and convert any video files to other popular video format (including mp4, avi, wmv, xvid, flv, webm, 3gp, mpg, etc. ) and audio format (including mp3, aac, wav,wma, ogg, m4a, etc. ) So that you can enjoy the media files on portable media players like iPod, iPhone, iPad, PSP, PS3, Samsung Galaxy Tab, HTC one X, Blackberry, any Android devices and more others. Any Video Converter Ultimate could also download YouTube video by copying and pasting the URLs. Besides, Any Video Converter Ultimate is a screen recorder that enables you to record any streaming videos which are restricted from downloading. You can record online videos, rental HD videos and DVD movie from Netflix, Hollywood Video, Hulu, BlockBuster and any other sites with 1:1 video quality. So you can keep these online videos for watching at anytime and anywhere. As a remarkable DVD ripper, Any Video Converter Ultimate is able to rip DVD movies and convert them to various formats for you to enjoy at your fingertips. Would you like to rip your DVD to any video file formats for viewing on portable devices? Are you wondering how to store your favorite DVD movie on your hard disc in order to avoid being scratched and damaged? Any Video Converter Ultimate is your best choice to rip and backup DVD movies. With the advanced DVD structure analyzing feature, you can remove copy protection and rip DVD to iPhone/iPad/iPod Touch; Rip DVD to Apple TV (MP4, M4A, MP3); Rip DVD to iPod nano and iPod shuffle (MP3); Rip DVD to Samsung Galaxy Tab(MP4); Rip DVD to Amazon Kindle Fire(MP4); Rip DVD to Motorola Phone (3GP) and so on. The main function of Any Video Converter Ultimate is to convert all kinds of video formats, including MOV, M2TS, OGM, RMVB, RM, WMV, QT, FLV, MOD, TS, TP, DVR-MS, Divx, etc. to AVI, WMV, MP4, MPEG-1, MPEG-2, FLV, SWF, MKV, 3GP and 3G2 for all kinds of portable media players including iPod, iPhone, PSP, Amazon Kindle Fired, Samsung Galaxy S series, HTC One Series, android mobile phones including Google Nexus One, BlackBerry and Nokia and game consoles including PS3, Xbox360 and Wii. Any Video Converter Ultimate can create HD Videos including HD M2TS, HD AVI, HD WMV, HD MPG, HD ASF, HD MP4 etc. 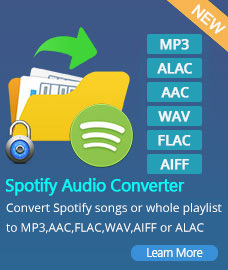 This video converter can also extract audio tracks from all kinds of video files to MP3, AAC, WMA, M4A, WAVE or OGG. With the video to audio converter, you can easily convert MP4 to MP3, or AVI to M4A to be enjoyed on your iPhone, iPod and iPad. Any Video Recorder performs perfectly in recording the online streaming video, rental HD videos and rental DVD movies. With its intuitive design and advanced recording features, you can record and capture any videos and movies from iTunes, Blockbuster, Redbox, Netflix, Hulu, etc. Besides recording the online streaming video, Any Video Recorder can also record local video by playing the video using a player, and recording all activities whatever you're seeing and doing on your desktop for creating video tutorials, demonstrations and presentations. Any Video Converter Ultimate supports burning video to DVD and AVCHD DVD. You can unfold Output Profile, choose Burning to DVD from the list, and then choose DVD video NTSC Movie or DVD video PAL Movie according to your TV system. Or you can choose AVCHD 720P Movie(*.m2ts) or AVCHD DVD 1080P Movie(*.m2ts) under AVCHD DVD Movie profile according to your DVD Player. 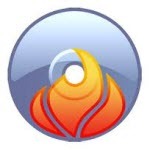 Just with a few clicks, you can burn your desired videos to DVD or AVCHD DVD. In addition, the DVD menu templates are provided while you burn the video to DVD or AVCHD. You can choose background music, background image, menu navigator for your customized DVD as you like. Any Video Converter Ultimate is a YouTube video downloader and YouTube video converter. Paste URL links of your favorite YouTube videos to the program, download to your hard drive and convert to video formats you need. Downloading only or downloading and converting are available. YouTube videos are now available in a range of quality levels. The video converter allows you to specify the quality level by menu Edit > Option > Online Video. You can merge multiple video files into a single long video with Any Video Converter Ultimate. Also, it lets you to clip multiple segments in a video or in a DVD movie by setting start point and end point with the clipping tool. You can personalize your video with special effects, such as adjusting the brightness, contrast, saturation, rotate or flip your video, add artistic effects like noise or sharpen. Besides, you can add your own srt subtitle file to the output video. An ultimate DVD solution for copying DVD and ripping DVD. It can copy DVD movie to DVD and copy DVD to hard drive with 1:1, shrink DVD9 to DVD5, copy DVD to HD, rip DVD to M4V, MP4, AVI, OGM and MKV.